In a previous post we explored the process associated with taking informed decisions in a crisis and hinted that in Crisis Tempo is King. In that article we raised the concept of speeding up how quickly you move through the decision making process to be sure that your decisions are both well informed and timely enough to be effective. Two events of the recent past, or perhaps in one case not so recent, served to raise the importance of this concept once more to us. We had the good fortune to be working for the financial sector in Paris a few weeks ago. Following the session we visited the impressive mausoleum for Napoleon at the Dôme des Invalides, having been prompted to do so when a session participant told us they had a relative who had been one of Napoleon’s Generals. During the session this historical fact had been used to explore how in Crisis Tempo is King. 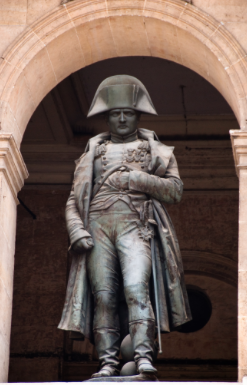 For as all students of Napoleon know it was his ability to outpace the decision making of his opponents that made him so successful, perhaps more so than his use of tactics or technology. It was how he did things rather than what he did that counted because the tempo of the opposition was always to slow to be effective in countering him. They were invariably reduced to reacting to his decisions, often too late to have much meaning. The analogy here is that in crisis if the events outpace your capability to respond effectively, by cycling through the decision making process at an appropriate pace, then you are on the road to defeat. This concept that in Crisis Tempo is King was further highlighted on an exercise we delivered a week or so later. In this event several crisis teams from a number of organisations had to come together to tackle a complex and evolving set of circumstances. Although each organisation performed as expected individually the requirement to co-ordinate proved a tougher challenge. In particular the decision making culture of some of those participating , being consensual and committee based, along with a lack of understanding regarding the crisis procedures to adopt, slowed down the pace at which they collectively cycled through the decision making process. This meant that in some instances key decisions were simply taken too late to stand any real chance of being successful. That’s not to say they were the wrong decisions just that the tempo of decision making was too slow to be effective, risking failure. If you haven’t yet consider that in Crisis Tempo is King or are unsure that your crisis management arrangements and capabilities will deliver in this vital area then now is the time to act. Don’t wait to be defeated by circumstances.